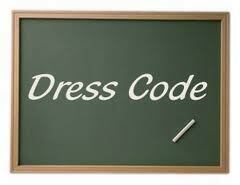 The following code defines what is acceptable for sixth formers in our school. Anyone not following these guidelines will be asked to sign out at reception, go home to change and make up any missed lessons on their own time. If you have any queries or are unsure if something is acceptable, please speak to Mrs O’Donnell, Mrs Ellul or Mr Thornton at any time. Mrs O’Donnell, Mrs Ellul or Mr Thornton at any time.